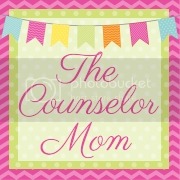 The Counselor Mom: Picky Eaters! My just turned 3 year old has to be THE pickiest eater on the planet. It was so bad that back in February I booked an appointment (with our Dr.'s referral) at our local children's specialist center and could not get in until May 29th! I was desperate and was having a hard time waiting and felt May would never come. That is until they called to give me a quote of 1k$ for the cost of the initial evaluation. And yes, we do have insurance. Sigh. That's when I threw my arms up and booked another appointment with my pediatrician. See, my toddler has not eaten a single vegetable since her pureed baby foods at 6 months of age. It's been oh, 1.5 years! And fruit is about the same. She hates bananas, strawberries, blueberries, etc. She also won't get near any kid-friendly food like chicken nuggets, pizza, or french fries. And yes I have tried putting them on her plate like 20 times without pushing it. I even would pull the, "you can just touch it and see how it feels, you don't have to put it in your mouth." But no. I couldn't even get her to play basketball with blueberries in a cup. The girl would.not.touch.them. So her eating life has consisted of cheese, yogurt pouches, Annie's bunnies and peanut butter on a spoon. Oh, and she loves Cliff Kid Oatmeal granola bars. Our doctor said she obviously likes different textures so it's not a sensory issue. She is gaining weight so there wasn't any worry there thank goodness. She basically told me I needed to read a book by Ellyn Satter called How to Get Your Kid to Eat: But Not Too Much . She said, "read it, just read it. And then give me feedback. I want to know if it works." I was like, no way will this work. Mealtime had become something I dreaded. I never had to go through this with my now 5 year old. She doesn't always eat her veggies, but she tries them and can spit them out if she doesn't like them. She also eats chicken, fish, hummus, avocado, fruits, etc. But man, the constant making several meals for members of my family was becoming a beating! I remember babysitting for a family of a 6 year old and the father telling me he didn't want his kid to run mealtime, that it's so easy for his kid to turn meals into a restaurant and making 3 meals for his family. Boy was he right! That had become my life. I make meals for the grown ups, serve some of it to my 2 girls, but also make extra things I know they will eat. And articles I had read in parenting magazines and books said if I didn't fix this now, I would have a 7 year old that only ate pizza, 3 meals a day! Now I know some kids do have sensory issues or on a spectrum do eat the same thing for consistency. They don't like change and new foods are hard for them. For those, an eating specialist is definitely needed. But my girl unfortunately was just being a stubborn red head. So, I am in the beginnings of the Satter book but so far it has really started to help. She basically tells you that parents decide WHEN to eat, WHAT to serve and WHERE to serve it, and the child decides WHETHER to eat or HOW MUCH to eat. 1) You put food on their plate that you know they will eat, and then also put things on their plate that are new (things you are serving yourself). 2) You don't talk about the food, no pressuring to eat, no "just taste it", no "just one have more bite"
3) Dessert is not tied to the if or how much they eat battle, so no baiting or bribing with dessert. Satter advises to serve dessert with dinner (try not to have at every meal though). "YOU DON'T HAVE TO EAT IT"
Yep, those 5 little words are all you have to say. Period. No fighting, arguing, bribing. This philosophy puts kids in control, because we all know you can't control what your child eats (hello, just like the potty training issues where we can't make them go :) Power and control are huge with kids, so this approach lets the child decide what to eat off their plate and how much. And they can have seconds if there is enough left. They listen to their own internal hunger cues and food is not a reward or punishment. So far it has worked great. I made eggs, bacon, fruit and toast for breakfast (which I figured she would only eat the peanut butter I put on the toast), but she ate everything on her plate minus the blueberries. I just put my plate, her sister's and mine on the table, and started to eat. Didn't mention a thing about what was on her plate and she ate it. I mean, ate the bacon too!! I didn't reward her and get all excited and make a big deal at all. When she was done, I told her she could take her plate to the sink. Wow! I wish I had tried this all sooner. I am so glad my child is not going to turn into a granola bar anymore, since that was all she was consuming. I know it will go in baby steps and there are time she eats just 1 bite on her plate. I'll report back in a few weeks after I finish the book and to let you know how she is doing.